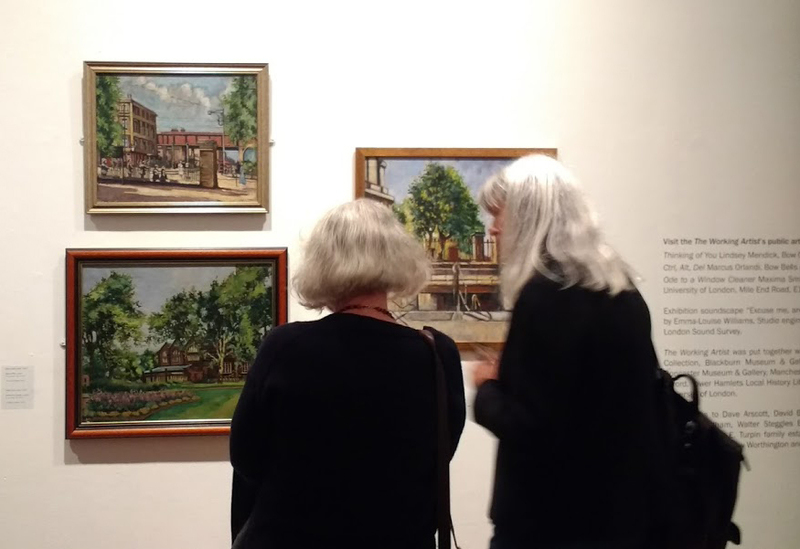 We went to the Nunnery Gallery in Bow yesterday evening (above) to see the paintings of the East London Group and for the launch of East End Vernacular, a book about these pictures and other documentary paintings of the area, published by the blogger of Spitalfields Life. 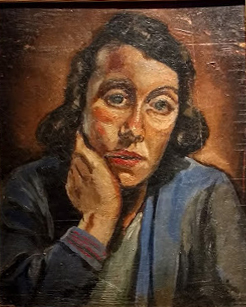 The East London Group were working class painters who came together at the Bethnal Green Institute in the 1920s and were taught by John Cooper, also at times by Walter Sickert and Phyllis Bray. 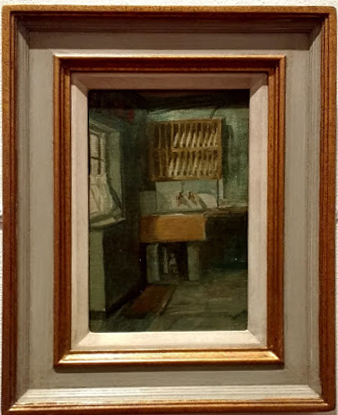 They painted what they saw and knew well, the streets and interiors of their locality. They were good and achieved some national success before the Second World War, though usually with some condescension to their class and lack of education. Some continued to paint after the war, hurriedly trying to record a disappearing East End. The Nunnery is part of the Bow arts centre, which exemplifies the changes that have occurred here since the 1970s, with the coming of new nationalities and cultures, middle class artists and intellectuals. The show is curated by Emma-Louise Williams and Michael Rosen, who is an energetic promoter of the vernacular. On sale in the bookshop is his memoir So They Call You Pisher, which records his home life with Harold and Connie Rosen, who had a huge influence on him. They were left-wing academics, they studied language as it’s spoken and advocated the use of the demotic in English teaching, which Michael practices in his visits to schools. I liked the funny chapter in his book about his school teachers, because I was in his year at school and they were my teachers too. 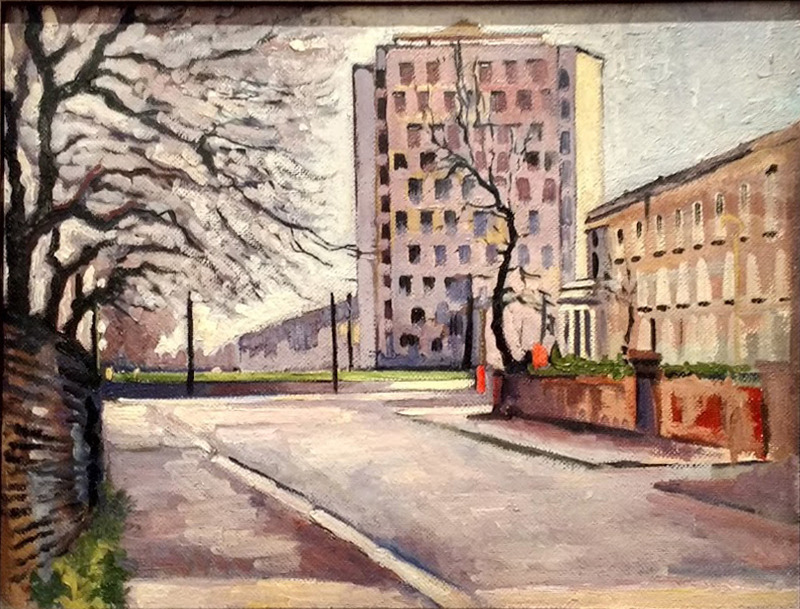 This picture of the Lakeview Estate is undated, but it must have been painted after 1958, when Turpin was about sixty. The estate was designed by the avant-garde architect Berthold Lubetkin, most famous for the Penguin Pool at London Zoo, whose motto was “nothing is too good for ordinary people”. Lubetkin gave up architecture after fruitless battles with conservative town planners and turned to pig farming instead.